Setting up a campus board in limited space on a 24″ wide board. I was considering placing small rungs on one side and medium on the other, so they would have to be staggered by a few inches and overlap in the middle. With medium and small rungs I’m guessing the different sizes won’t interfere with each other? I am considering a spacing between a 4″ and 6″ for both types of rungs. Would the smaller spacing be better for fine tuning workouts? Thanks for any thoughts that can improve my setup. One way I have seen this done is by cutting the rungs into thirds, then you can put 1/3 of a small rung right next to 1/3 of a medium rung followed by 1/3 of a small rung and then finish off with 1/3 of a medium rung. This way you can fit both medium and small rungs onto a 24″ board without having them interfere with each other. The reason that this works is that the middle section of a campus rung is hardly ever used (if I look at my campus board I can see chalk marks on both sides of the rungs, but nothing in the middle). As far as rung spacing goes, I prefer the half moon spacing (4.33″ between each rung) because it makes it easier to track your progress and compare it to a known standard (even if this doesn’t interest you at the moment, I promise that in the future you will want to know). Good luck and have fun campusing! That’s a tough one. I think I understand what you mean about overlapping & staggering rungs, and frankly, I wouldn’t recommend it. I think it will cause problems when you’re trying to do difficult moves. Although not ideal, I think you would be better off mixing the rungs on the same ladder. To do this, think about what you plan to use each set of rungs for, and see if you can figure out a good place to replace a small rung with a medium. For example, on my Small ladder (Spaced at 4″ OC), some rungs never get used: 2,3,4,5, and some rarely get used: 6, 9, 10, 15. I only use my medium ladder to warmup, wich involves a 1-3-5-7-9 (6″ spacing OC) ladder almost always. So if I wanted to lay my medium rungs over my small rungs, I might remove rungs 3, 6, and 9, and replace them with medium rungs, then simply adjust my Medium rung warmup to 3-6-9 (which is the equivalent of 1-3-5 on 6″ spacing) and do it twice. If you do this, be prepared to swap out rungs as you improve. Another option you might consider is to simply cut your Medium rungs in half, so your small ladder would be 16″ wide and your Medium ladder would be 8″. Not great for hard campusing, but if you only use it to warmup, I think it would be serviceable. You suggest a larger number of rungs with smaller than standard spacing, stating that getting to the next level (using 1-5-9 as an example) isn’t possible without graduating to smaller increments first. However, wouldn’t it make more sense to progress past the inability to reach the next rung by campusing 1-5-7 by campusing with a few pounds of weight? For instance, two pounds of ankle weights increasing gradually until the resulting recruited muscle fiber increases enough to reach the next rung un-weighted. Adding weight is one way to progress on the campus board. I’ve never done that myself, but I know of people who have done so. A common complaint is that adding weight increases the injury risk dramatically. Campusing is already really hard on the elbows, and it seems like adding weight makes the problem much worse. That said, you could probably get away with adding small amounts of weight (less than 10 lb.) for a workout or two if you take it easy. See what happens and let us know how it goes. Absolutely… I have a set of adjustable-weight ankle weights that i use for hypertrophy training. I’ll see if incorporating them with incremental increases works well and update in a month or so. It looks like in the picture you have your small rungs oriented with the in-cut side up. What is your reasoning for this? It’s not clear what angle your board is at, but I would have assumed that you used the flat side of the rungs exclusively at this point. I’m rebuilding my board to be slightly steeper (12* to 16* off vertical) and wasn’t sure if flipping the rungs to the in-cut side up would be beneficial or not. Thanks for the great blog. 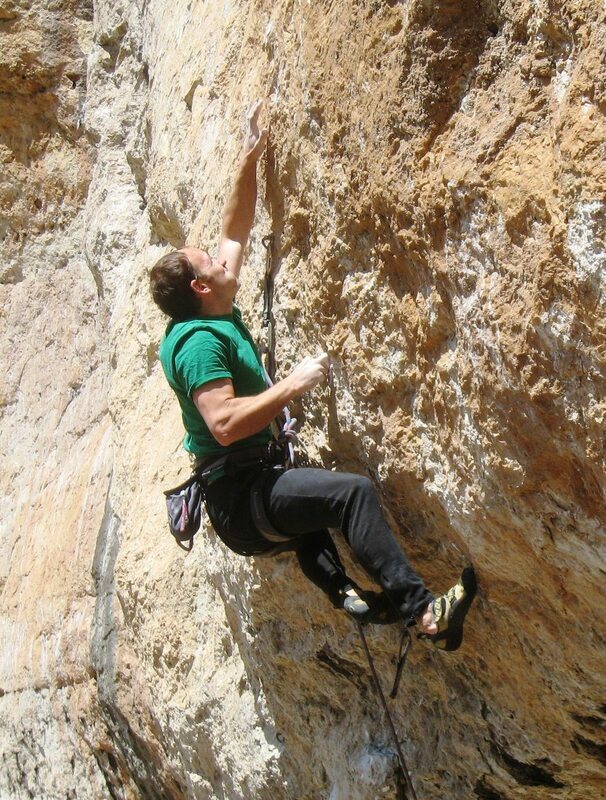 It’s always nice to see a new post – keeps me motivated to train when I can’t get out climbing! That’s a good question with a bad answer. The reason is that when I built the board (almost five years ago now) I thought I needed the incut edge up. I’ve never bothered to change it. My campusing has come a long way since then, so its probably long past time to flip them around. As for your second point, I have a long post prepared discussing campus board angle that I will post next week. Its an important factor that is often overlooked. What would you say is the minimum ceiling height for a solid campus board? 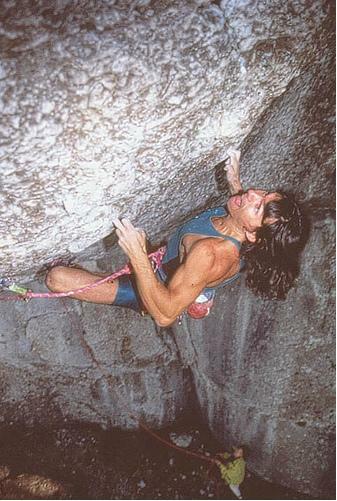 I have a great bouldering wall in my garage (9 ft ceilings) but it gets pretty hot in the summer and I’d prefer to have it in the AC in the basement (8 ft ceilings)…. Sadly, this is one of those “It depends” situations. It depends on how tall you are, and how many rung increments you need to push yourself on a Max Ladder. For example, I’m 5’7″ tall, and I need at least 8 rungs (Moon-spaced, 22cm increments). My first rung is just under 6′ off the ground, and my 8th rung is just under 11′. The first rung could certainly be lower. Anyway, I’ve never heard anyone complain about having too much height to work with. 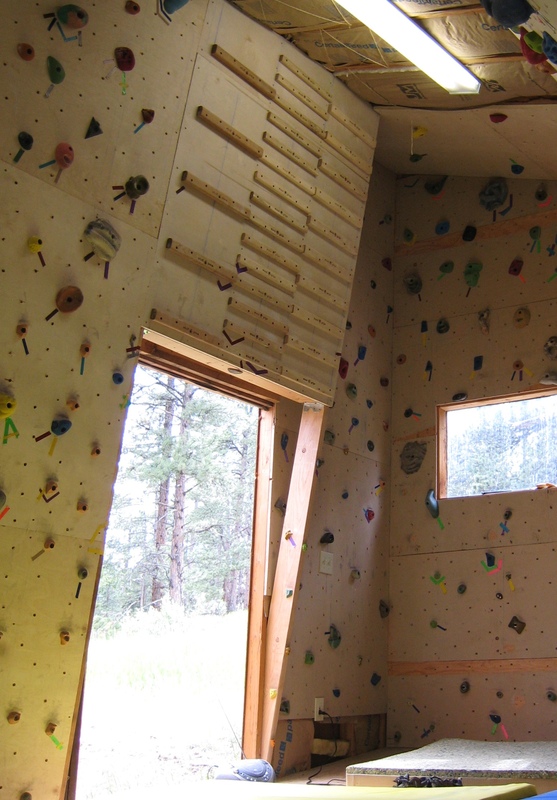 If I were you, I would move the bouldering wall into the cool basement, but put the Campus Boad upstairs where you have more height.